Special door for special demands. Combining wood, laminate and MDF. 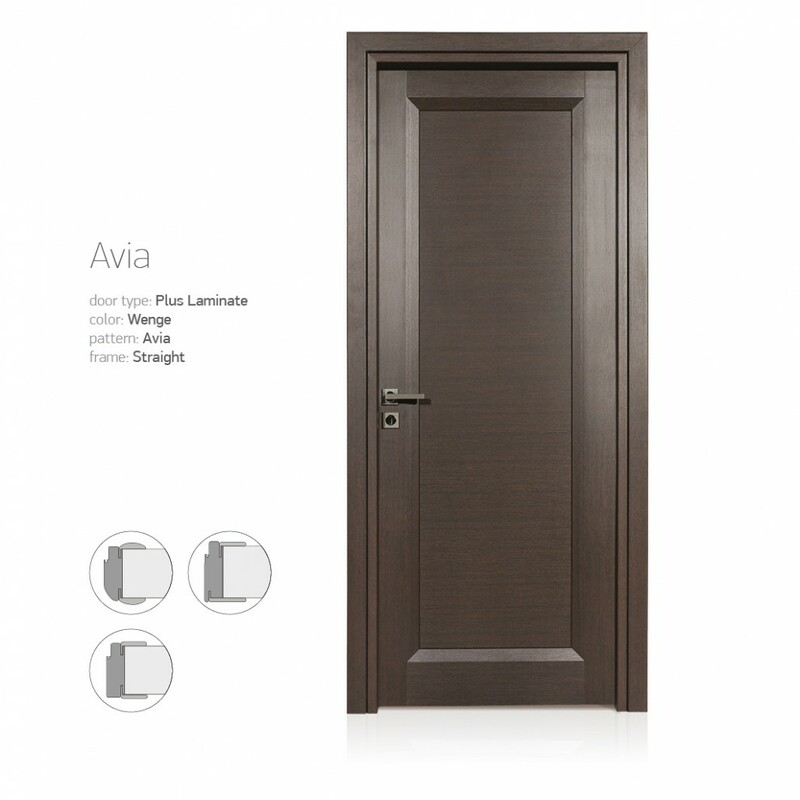 The leaf consists of solid wood and MDF and is covered with laminate. 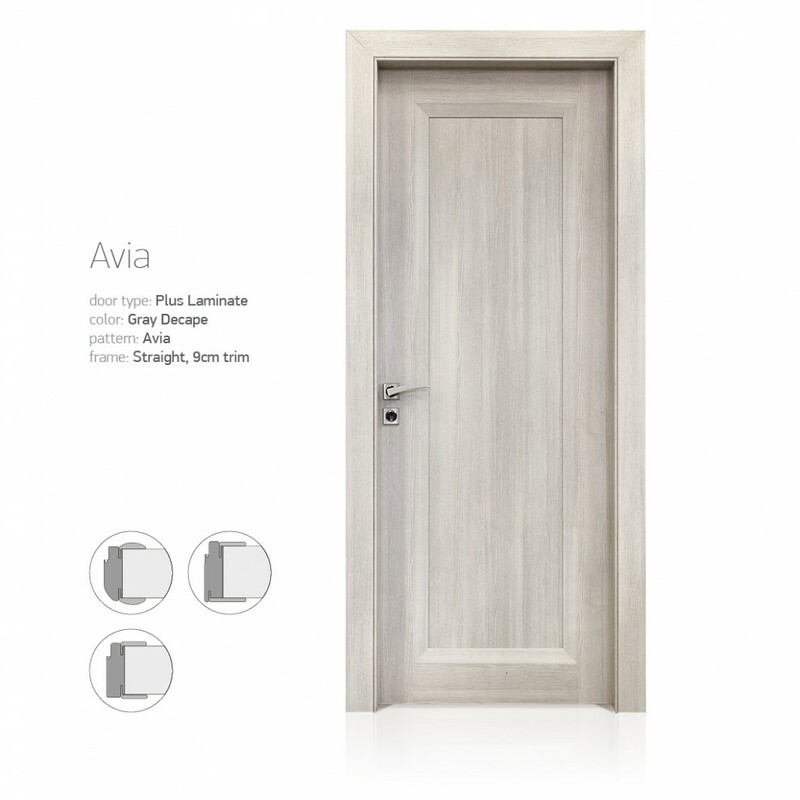 The leaf, the door frame and sill, are coated with laminate. • Three bolt hidges, simple interior lock and rubber. • Change color from yellow to hardware inox. • Dual Hinge bolt with three settings in yellow and inox. 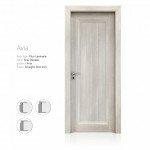 • The door can be produced with flat frame. • Wall Thickness: 10cm – 13cm – 15cm.For wider use extension. 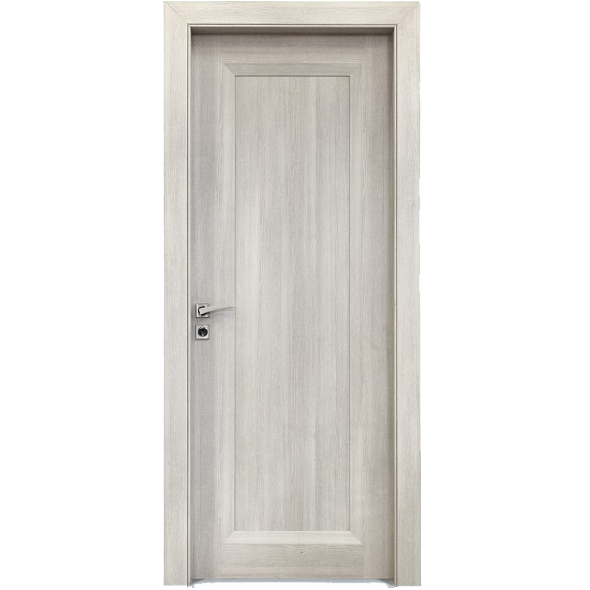 • Door width: 64cm – 69cm – 74cm-79cm – 84cm – 89m – 94cm – 99cm. • Height: up to 214cm. The range is completed with sliding door and lofts.